Westpac’s Darren Curtis, Orgyboards’ Neil Townsley, Ms Woodward, Kim Paranihi and Ms Harding. First prize, a trip for four to Fiji, went to Sarah Woodward, who wasted no time planning her holiday. ‘We are all booked and planned, we are ready to go,’ she told the Times less than a week later. 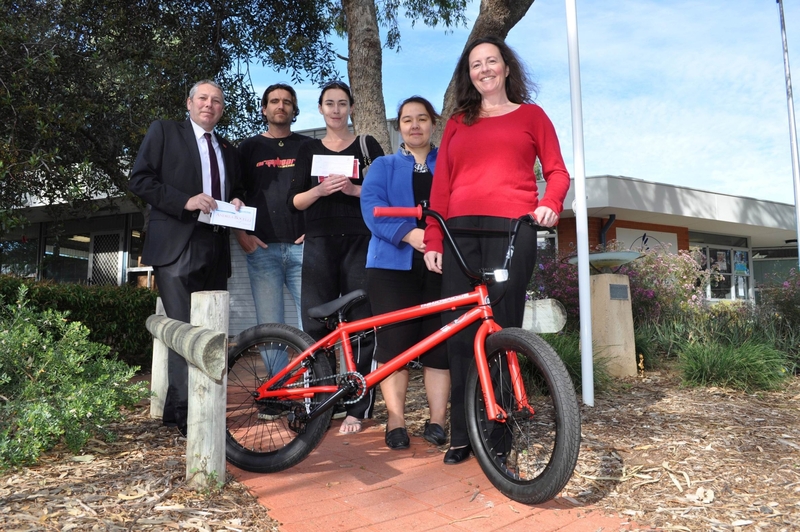 Lyn Harding won the BMX bike donated by Orgyboards, while Vicki Carter won the Andrea Bocelli tickets donated by Westpac Yanchep.